The National Education, Health and Allied Workers' Union (Nehawu) says it will shut down all TVET and CET colleges across the country from Wednesday. 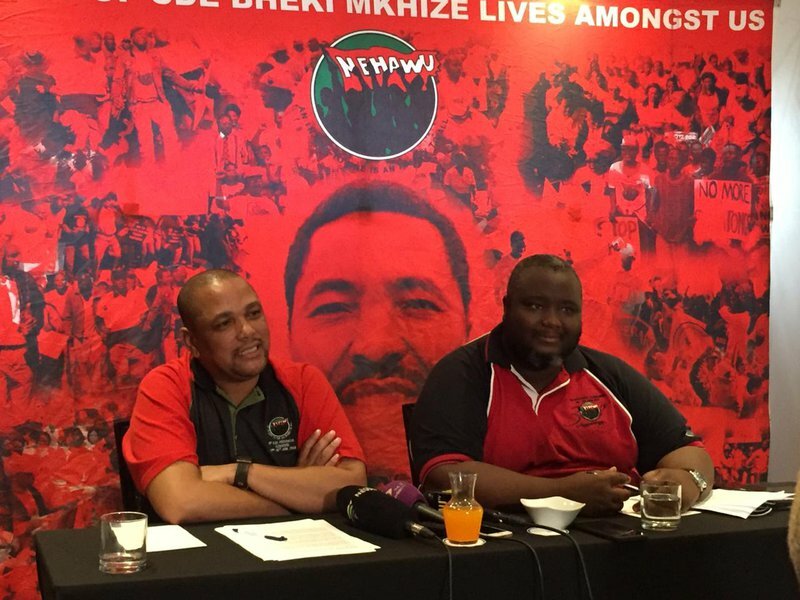 The union held a media briefing in Pretoria on Wednesday, where it highlighted its state of readiness and plan of action for the upcoming strike action. Nehawu general-secretary Zola Saphetha said the union will be also joined by students. "The leadership of the union will be on the ground in provinces working with provincial leaders and regional officers to be at the work place where we will withdraw our labour and where will ensure that no function that will be undertaken in that regard. "Hence we had to meet students so that they are not caught by surprise and they are aware of what we have to do. "As you recall our fight is not directed to the students but to the system and unfortunately when we withdraw labour, it means you will not do anything at work. So that will impact negatively and that is an unfortunate situation. Nehawu’s demands include wages, which they say have stagnated over the past few years and the mistreatment of its members. The Union has also called for the immediate resignation of Department of Higher Learning and Educaion DG, Gwebinkundla Felix Qonde. Saphetha says Qonde has failed to address their issues. "The issues that culminated into the strike, have been before the council since April 2015 and the department under the stewardship of Mr Gwebinkundla Felix Qonde, dismally failed to address our issues even after the march we had in November 2017. "As Nehawu we hold a strong view that at the centre of our problem is the leadership and current DG. We believe that any qualitative change that the department shall undertake must first being with the departure of Mr Qonde as he has no best interest in his heart for the department and the students it seeks to serve," he adds.